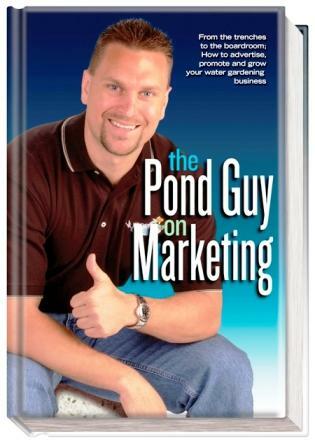 This practical, hands on, user friendly guide we're calling The Pond Guy on Marketing will systematically lead you through the marketing maze, showing you exactly how all the pieces fit together, and how to avoid blowing hard earned cash on strategies that are doomed to fail, and how to cultivate winners. Master the art of marketing and your business is bound to prosper. It's that simple.